winter reflections. 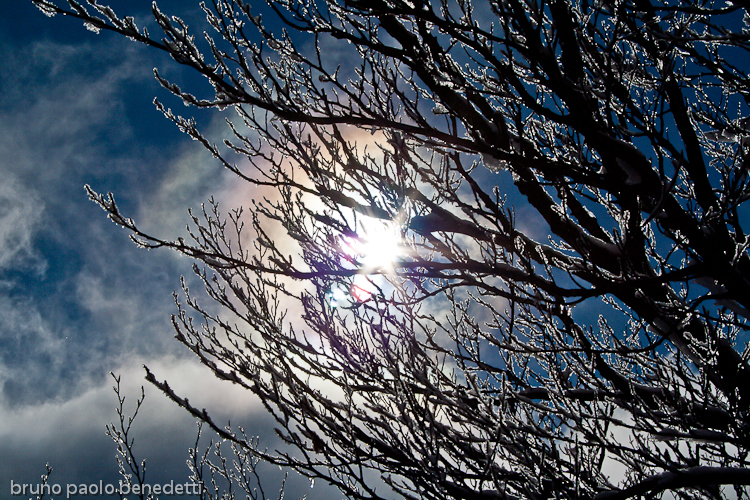 Sun light behind a tree covered by shining snow cristals on foreground. On background blue sky with rainbow colors on monte Amiata, Italy, Tuscany.